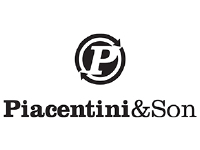 Piacentini & Son is a privately owned and operated family company with a history dating back to the l940’s. Albert Piacentini was l6 years old when he arrived in Fremantle from Italy in l936. By l944 he was running his own timber mill in Dardanup and in l949 was allocated a Cat D6 bulldozer on the condition he commit to clearing post-WWII soldier settlement land grants in the Margaret River area. Piacentini & Son’s involvement with mineral sands began in the l950s when Albert began doing odd jobs for Western Titanium, Cable Sands and Westralian Sands as those companies established sand mining in the south west, starting what was to become a long association with the mining industry. By l969, Piacentini & Son (Albert’s son Colin had joined the business) had purchased their first scraper and, with approximately l0 staff based in the workshop at Yoganup, commenced mineral sands earthmoving. From this start the company continued to expand. During this time, after completing their education, Colin’s sons Bradley and Kim joined the family business. In 1998, the company relocated to their current premises, the new workshop and office complex at Picton, east of Bunbury, and by 2001 a rapid expansion in the mining industry saw employee numbers grow from 50 to over 200. From a single bulldozer, Piacentini & Son has grown to become one of the largest privately owned earthmoving companies, owning one of the largest CAT scraper fleets in the southern hemisphere. As well as a diverse scraper fleet, the Piacentini & Son earthmoving fleet includes numerous wheel loaders, dozers, graders and excavators. The needs of this wide client base have resulted in the development of an innovative in house mechanical engineering division to assist clients with any problems encountered in the mining process. The company also has a very successful road transport and heavy haulage operation and staff numbers now exceed 800. Piacentini & Son has come a long way from its humble beginnings to emerge as a leader in the Australian earthmoving industry. At the main gate of Piacentini & Son’s Bunbury operation stands a symbolic and very visual reminder of the company’s history – the first bulldozer, restored and proud.